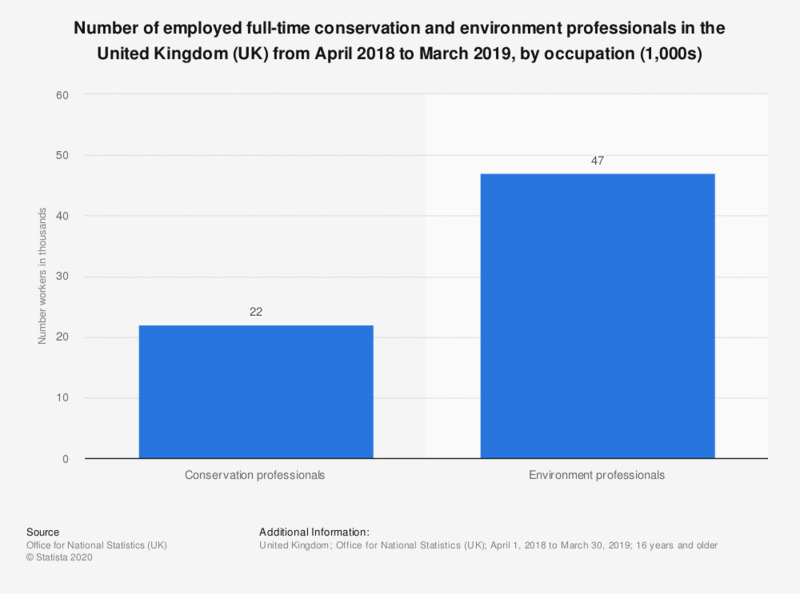 This statistic shows the number of employed full-time conservation and environment professionals in the United Kingdom (UK) in 2018, by occupation. In this year there were approximately 41 thousand full-time environment professionals employed in the United Kingdom. This was over two times more than those employed full-time as conservation professionals, which amounted to roughly 15 thousand.